2017 introduced a lot of game changers! Back in 2016, I launched this category in lieu of Best Treatments for Damaged Hair. If you still need solutions for damage and breakage, head back there and check those picks out - they still most definitely work. I just don't need them as frequently anymore. 2017 was full of surprise releases, game changers, seasonal must-haves, and more. But what new drops are really worth the dough? That's what this category is dedicated to! Now, let's get into these new product wins! Leaders of the new school! As mentioned previously, Genedor Beauty definitely took 2017 by storm overall. And the Swirl Curls Gel Styler is no exception. 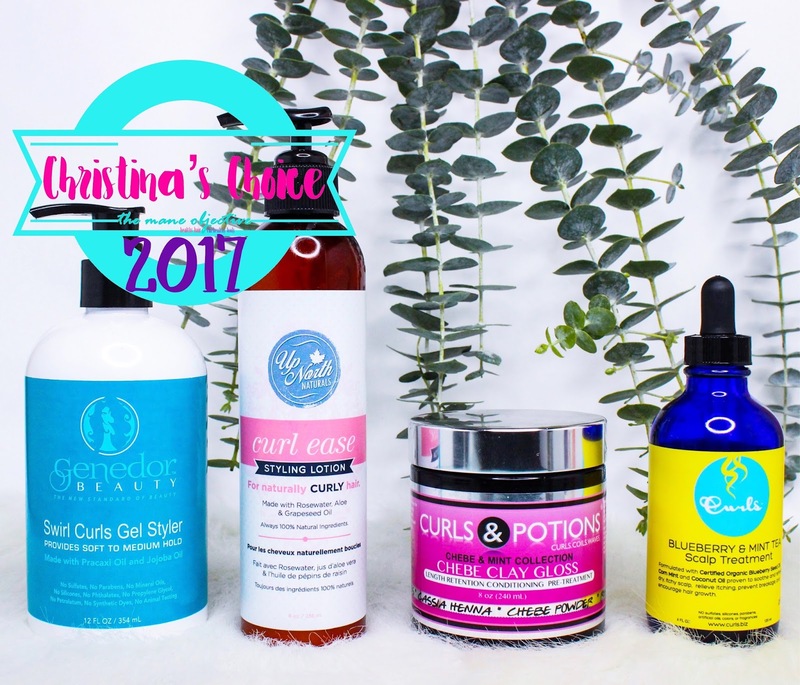 A lot of naturalistas sang the praises of Swirl Curls in 2017, and with good reason! This gel although thick (just like I like 'em) is not impossible to work with. There's no extreme ramen noodle action going on, either. Just good ol' fashioned hold, definition, and curl clumpage for the ages. It's very similar to my beloved top curl definers for 2017, and I see no signs of me slowing my usage down in 2018. Watch my Genedor Beauty wash day video here! 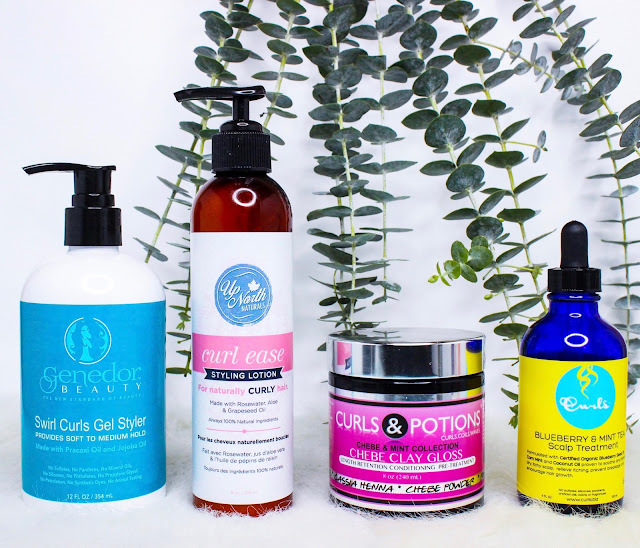 Curl Ease is a true styling lotion, meaning you're not going to get that almost-impossible-to-get-from-the-bottle feeling when trying to pump it for use. It's velvety and sleek, coating the hair with lightweight moisture. Oh and the slip? Amazing. I wouldn't insult this product by using it as something to rinse out (detangler), but it can definitely serve that purpose if need be. Curl Ease captures my curls beautifully, leaving them primed for styling. It's versatile enough to be a leave-in or mid-week moisturizer, and makes for a flake-free pairing with many of my favorite styling products. 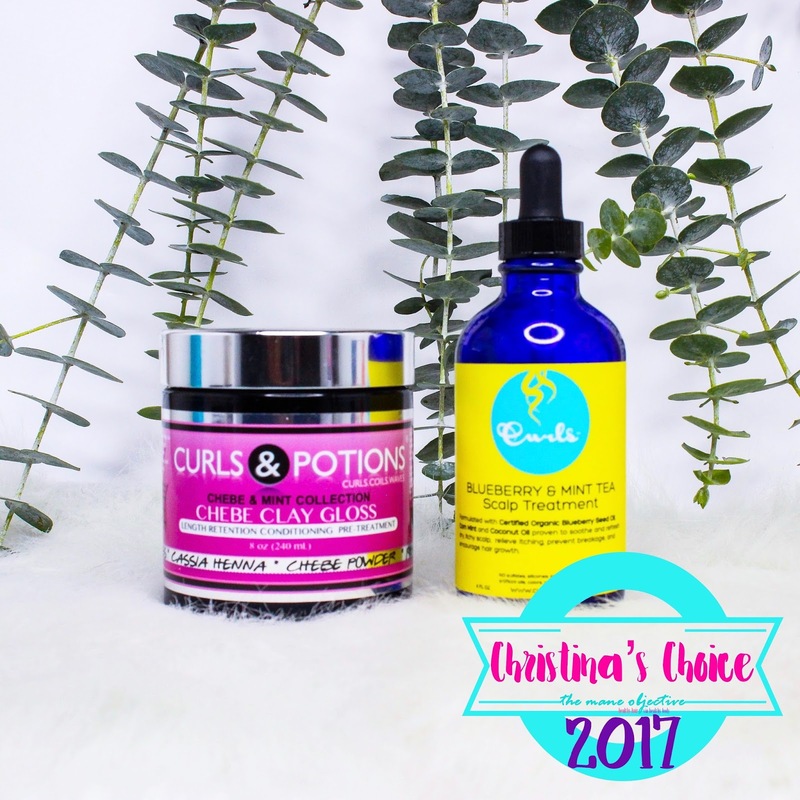 Curl Ease definitely earned this top spot for 2017! Where do I begin?! The Chebe Clay Gloss is a truly magical pre-shampoo treatment. The consistency reminds me of pudding or a thick batter - but it's not difficult to work with at all. In fact, it's the answer to every prayer of the naturalista with dry, frizzy hair. You know how your hair looks when covered in deep conditioner? That look you wish would stick around after rinsing, but never does? Chebe Clay Gloss DOES THAT. It's a blessing to my hair - especially the front and crown that are low porosity and tend to be drier and frizzier than the rest of my curls. I'm hooked for 2018 and beyond! Read More: I'm trading henna in for Chebe! I've seriously become hooked on the Blueberry & Mint Tea Scalp Treatment. It's like crack for my scalp. I love the menthol/minty fragrance, the tingling, the cool sensation that lasts at least half an hour after massaging - EVERYTHING. I have psoriasis, so my scalp generally itches between washes. A massage with the Blueberry & Mint Tea Scalp Treatment soothes it SO much. Y'all have NO idea. Quite simply put, it's the truth. And I don't EVER want to run out. I couldn't pick just one. And Lord knows I tried. You guys, for the first time ever in the history of the Deserted Island pick, I couldn't pick just one. Literally, I was at a stalemate. I agonized over this for days, too. But in the end, I had to do it. I legitimately could not pick between the Chebe Clay Gloss and Blueberry & Mint Tea Scalp Treatment. I tried. I really did, honest. But I couldn't do it. So here they are - the two new products that changed my life in 2017. I'm very much looking forward to including them in my regimen for 2018, to aid in strengthening, growth, and scalp relief. I wonder what 2018 will hold?